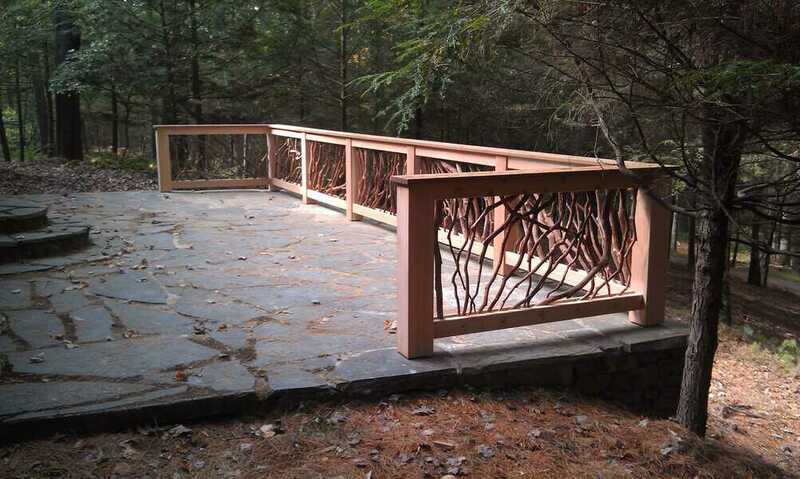 Mountain Laurel Handrails are custom built works of art. Like any project, a successful result is usually due to planning and hard work. This project was no exception. The homeowner, carpenter, brick mason were in regular communication with the Wood Railing Workshop to make sure that all the details were right. 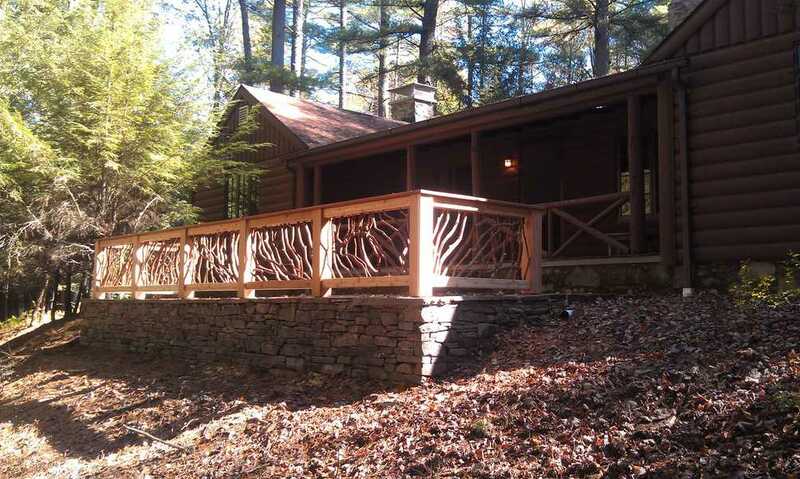 This is another picture of the project that went to upstate New York for a deck railing project. The old porch was in some state of disrepair with loose stones. The loose stones were refitted and the whole structure was shored up to be stronger. The posts for this railing were secured with bolts coming up out of the new concrete below. The carpenters on this project did a lovely job with their posts and the finished installation looks flawless! The result in this case is a wonderfully proportioned and well executed piece of architecture. This was an old stone porch that had fallen into disrepair and was in need of an update. 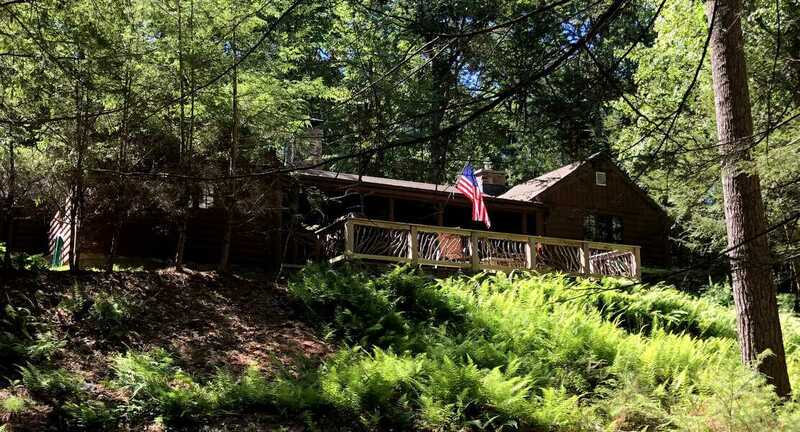 Thanks to the homeowner for sending this picture of his rustic porch railing in Upstate New York. Close coordination between the Wood Railing shop, homeowner and construction crew in Upstate NY culminated in a bluestone patio with rustic railing.